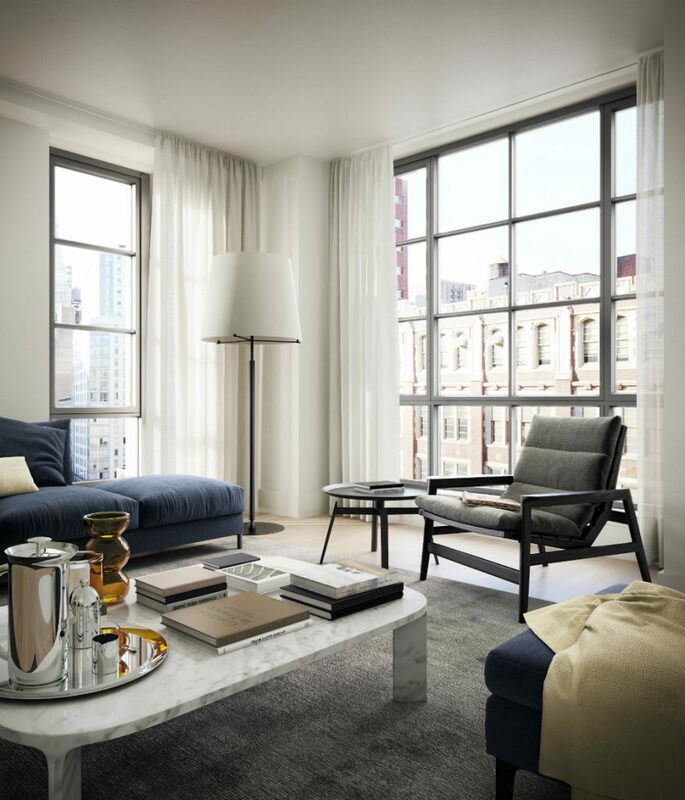 234 East 23rd Street in Gramercy is the kind of luxury that lets you breathe. The 20-story new construction development, which made its marketplace debut in June, offers 57 residences with boutique hotel charm. Architect Goldstein, Hill & West designed the brick and metal structure, punctuated by large floor-to-ceiling casement windows. The interiors are by Rottet Studio, which previously worked on The Surrey and the Lowes Regency in New York and the St. Regis in Aspen. This is Rottet Studio’s first partnership with a residential real estate developer. The one- to three-bedroom units range in size from approximately 600 feet to more than 2,302 square feet. The interiors feature solid white oak floors for warmth, flexible layouts with unique build-outs and alcoves and in-unit Bosch washer/dryer. 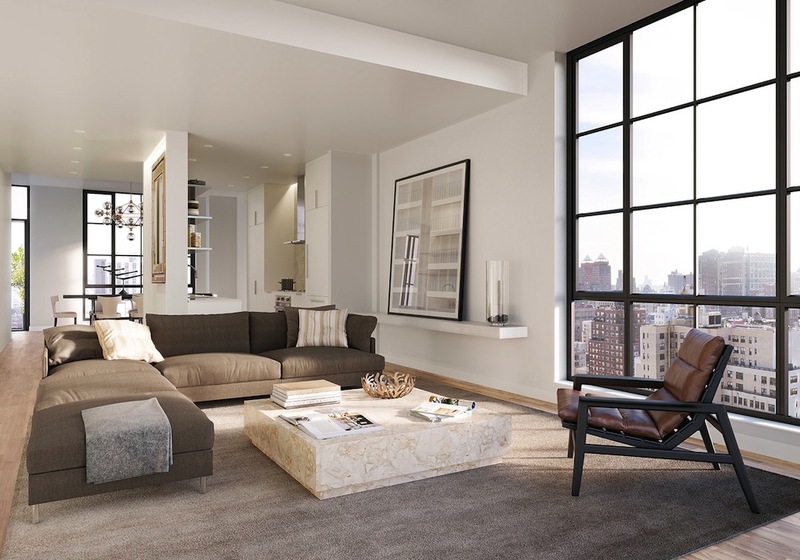 Select units have private terraces, including the expansive exterior space in the full-floor penthouse. The beautifully functional kitchens are fitted with integrated Bertazzoni, Bosch and Sub-Zero appliances, generous work surfaces and versatile layouts for entertaining. The bathrooms have marble lined floors and walls, custom casement-style glass doors and custom vanity units with Carrera marble. Amenities encompass a doorman, concierge service through Abigail Michaels, quiet second-floor garden terrace, roof terrace with barbecue grill and outdoor kitchen, lounge, library with billiards table, gym, individual private storage units and bicycle storage. Occupancy is available in the third quarter of 2015.